Choose your frame, decide your colour scheme, and pick your activities for a fully customised play experience. How Do You Want to Play Today? Our natural round pole timber is made from whole tree trunks which are stripped of their bark, machined to an even diameter to remove the taper, have the sharp square ends chamfered, and trimmed to length. Our round pole swing frames have been pressure treated, for greater integrity, strength and durability. The pressure treatment penetrates the timber for a long-lasting effect..
With legs of 80mm diameter and a cross beam of 100mm diameter, the swing set wooden frames are highly robust. Cross braces run across the frame legs, stabilising the A frame for extra piece of mind. Metal swing attachments encircle the frame, maintaining the strength and integrity of the timber. Each swing hanger is made from steel, galvanised inside and out then powder coated for rust-free protection. The accessories are secured using a carabiner clip, making it easy to mix it up! The super soft adjustable polyhemp ropes are kind on tiny fingers and hands. Our create your own swings sets have grown – the extended 2.6m legs give the highest, longest swing yet! Co-ordinated bolt caps and covers are the finishing touches on our super swing sets. This versatile swing can switch from a glider for two into a hammock with headrest, perfect for all ages! The unique, ergonomic design allows your nest swing to fit traditional swing sets and will provide maximum play value. It’s suitable for ages three years and up. Our Super Swing Seat will swoop your little ones up into the clouds and beyond. The blow moulded swing seat is manufactured from durable plastic, with an extended two year warranty. It’s slightly wider than our standard swing seat, giving little ones more room to get comfy (and older brothers and sisters can play too). The Super Swing Seat has upgraded super-soft poly hemp ropes, which are kinder on delicate little hands and fingers. Of course, our swing seat can be adjusted in height. Choose from cool teal or punchy lime colours. For a nautically inspired adventure, the Plum Buoy Ball Accessory will send children sailing across stormy seas. The bold yellow buoy ball has a soft, poly-hemp rope, which lets little hands hold on tight. Start little ones off on their journey to outdoor adventure in Plum’s 3 in 1 Growing Swing. The sturdy swing easily converts from baby to toddler to child stage. At baby stage, the growing swing seat has a comfortable back rest, t-bar front support adjustable lap seat belt for little ones to feel snug and secure. 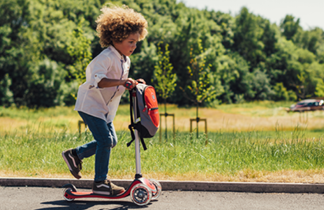 As confidence grows, remove the t-bar front leaving the back rest and harness for reassurance as toddlers…Ready for the real thing? The back rest can be removed leaving a child swing seat, which is deeper than a standard swing for additional reassurance. The durable growing seat has chunky polyhemp ropes which are soft and kind on tiny hands. Roll up, roll up… With Plum’s Tumbling Trapeze, aspiring acts can perfect their performance for the back garden circus. The Tumbling Trapeze has a solid wooden bar and strong hoops for gymnasts to practise as they swoop and swing through their crowds! Choose Plum’s Double Glider and double up on fun. The two-seat glider (Height adjustable) has comfortable moulded plastic seats, handlebars and foot grips for little ones to hold on tight. Plum’s Glider is made from galvanised steel, designed to withstand sunny days and rainy afternoons to come. Plum’s Jumbo Rope Ladder will have crazy climbers scaling new heights. For a new challenge, the jumbo rope ladder swings from side to side. Plum’s jumbo rope ladder has chunky, solid wooden rungs and super soft poly hemp ropes which help little fingers and hands hold on tight. Choose Plum’s super slippery slide and play deck for climbing and sliding. The 8ft wavy slide can be turned into a waterslide by attaching a hosepipe. The playground favourite seat that’s just the right size for two! Little ones can pioneer their own vessel to the clouds. Plum’s nest swing is made from a durable, water repellent fabric with comfortable PE mesh panels to sit on. Choose from bold blue or apple green colours.